Access to bus services every 15 minutes on Canberra’s main corridors is among a range of draft policy initiatives outlined in the ACT Government’s ‘Transport for Canberra’ policy document, released last week. Environment and Sustainable Development Minister Simon Corbell says congestion on Canberra's roads will double in the next twenty years unless measures are put in place to encourage more Canberrans to catch public transport. "The policy document has the goal of getting 23 percent of Canberrans to use public transport, walk or cycle to get to and from work by 2016 and this will help to manage congestion on our roads while also reducing carbon emissions," Corbell says. "Another key service guarantee in the draft policy is that by 2013, Canberrans would have a maximum wait of 15 minutes when leaving a frequent service to a coverage service, and 7.5 minutes when transferring from a coverage service to a frequent service." 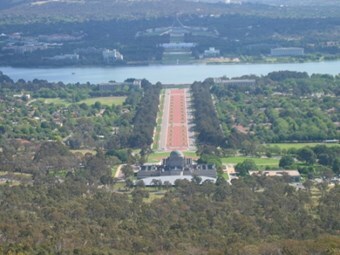 Corbell says as Canberra continues to grow, so too will the congestion on Canberra's roads. "This is why the ACT Government has developed a policy that will see congestion managed at an appropriate level, and see more people start using public transport options to get around the city." The ‘Transport for Canberra’ plan outlines a diverse transport system that ensures Canberrans have access to a range of transport options. Among these options includes a frequent network of buses running every 15 minutes or less through main corridors, coverage service that feeds into the frequent network, every home to be within 500m of a bus service of at least 60 minute frequency, an environmentally friendly transport fleet with modern ticketing and real-time passenger information, more bus stations, bus priority lanes and traffic signal priority. Corbell says the draft policy aims to manage demand across the transport system, including managing parking, pricing, increasing the number of people per vehicle, and promoting alternative transport options to help reduce transport emissions and create a more people-friendly city. "The policy provides options that support growth of the ACT economy by creating a safer, more efficient and more sustainable transport system, with ring road options for cars and freight, and public transport corridors for people," he says. "The ACT Government has already invested more than $1 billion in the transport system in the past 10 years, with over $120m committed in the 2010-11 and 2011-12 Budgets to roll out Transport for Canberra projects." Members of the public are encouraged to have their say on Transport for Canberra until Friday 11 November. To view the draft policy and join the discussion visit www.timetotalk.act.gov.au or call Canberra Connect on 132281.